You're here: / Blog / Insulin pumps- What’s current? Any alternatives? Insulin pumps- What’s current? Any alternatives? According to WHO (World Health Organization), around the world approx 422 million people were living with diabetes in 2014, compared to 108 million in 1980. A fourfold increase in just three and half decades. 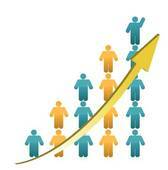 It has nearly doubled in adult population (age over 18 years) since 1980, rising from 4.7% to 8.5%. 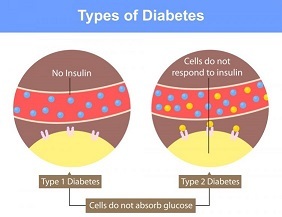 Diabetes is a serious chronic disease that occurs either when the pancreas does not produce enough insulin (a hormone that regulates blood sugar, or glucose-Type 1), or when the body cannot effectively use the insulin it produces (Type 2). Here the question arises that how diabetic patients regulate their insulin if body is not able to produce it naturally i.e. in case of Type 1, they must induce insulin from outside to maintain the glucose level in blood. Here comes the need of a machine that can induce calculated amount of insulin required by the body. An insulin pump has three main parts: pump, tubing and infusion set. Pumps send insulin through tubing into an infusion set that delivers the insulin to the patient’s body. A thin plastic tube (catheter) is connected to the insulin reservoir and insulin flows into the subcutaneous tissue through the infusion set, and the infusion sets are made of Teflon or steel and attach to the patient’s skin with an adhesive patch. On the underside of the infusion set, which is a short thin tube (cannula) that is inserted into your skin with a small needle that is housed within the cannula to deliver insulin into a layer of fatty tissue? These traditional insulin pumps had some disadvantages related to their size, tubing and adjustment of readings, which are overcome by new patch pumps and programmed insulin pumps. A continuous innovation in the field of insulin pump technology is evident from the growth in number of patent filings from various companies. 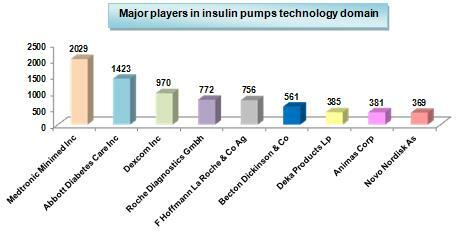 Patent analysis on insulin pumps shows the major companies competing in this technology area. Medtronic, Minimed, Abbott, Dexcom are the leading players. These companies’ entire primary goal is to ease diabetic patient’s life, largely in the area of device size, better communication, and data management and user friendly interface. 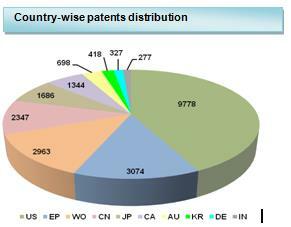 The patent filing trend shows that Medtronic is well ahead of its competitors. Our further study on the Medtronic technologies reveals that their focus is centered on integrating insulin pumps with digital computing and data processing. A geographical analysis of the patent filings demonstrates that Unites States is the predominant choice of patent filers in this area; the US alone shares a whopping 43% of the total patent filings as compared to Europe has been able to attract 13% of the patent space. This era of immense competition has led to war of patents in the form of infringement attacks, and in turn defensive invalidation suits, leading to settlements, and paying huge royalties, etc. Since 2016, it has been noticed that inventors have shown greater interest in their efforts to curing Type 1 diabetes. An article “Harvard and MIT close to ‘cure’ for Type 1 diabetes which will end daily injections”, was published in Jan 2016. Companies such as InsuJet, are coming up with needless insulin pumps where insulin is injected into the body with the help of pressure instead of a needle. In future, we will see end of injections, as scientists have found ways to produce adequate quantity of insulin-producing cells. A diabetic patient with a new pancreas is still a dream.